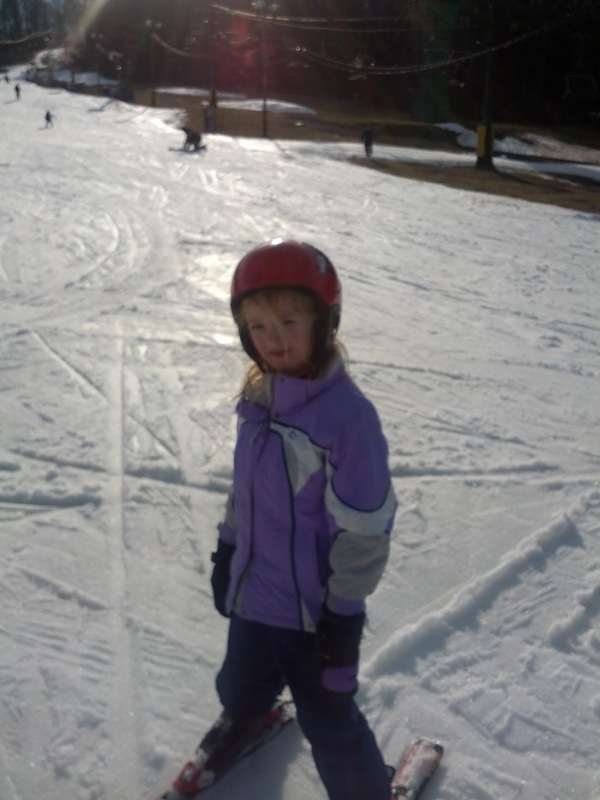 We spent the morning on the slopes….it has been a while since we have been on skis. 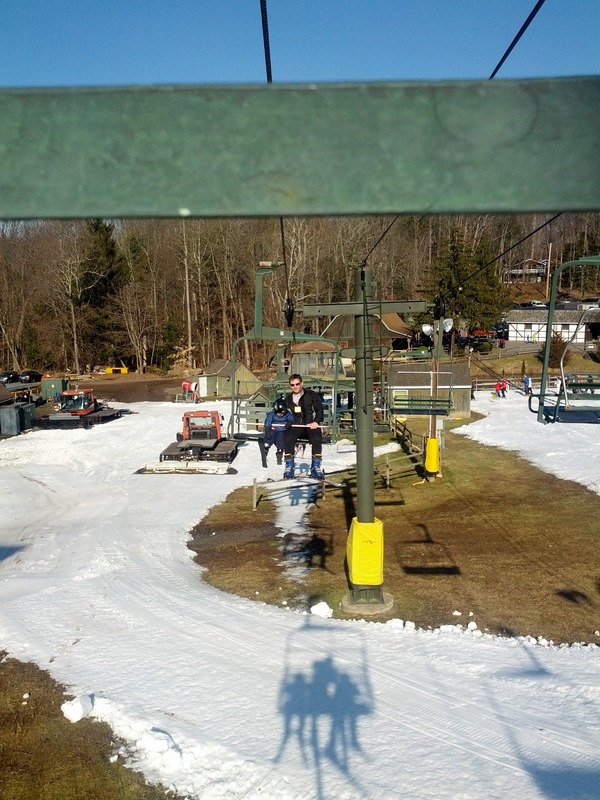 We had taken Aly and Brianna two years ago and last year was super warm so we did not hit the slopes. 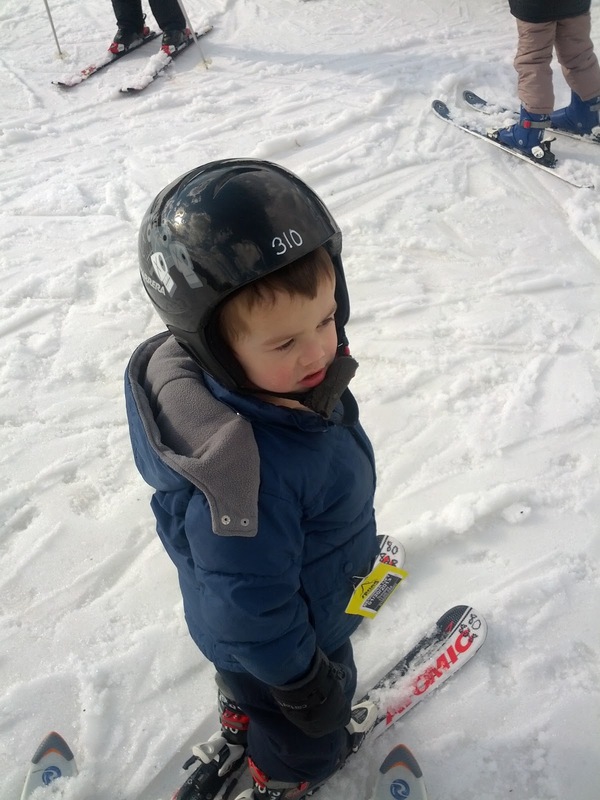 Jackson had never been skiing and I was a little worried that he would be tearing up the slopes. He did great! 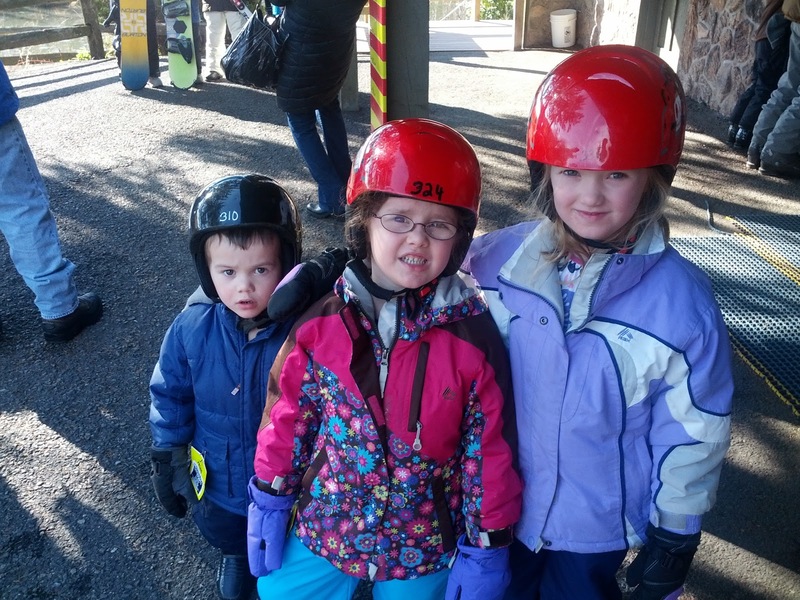 We are going to ski on Wed nights as a family…it is a little harder with the three since none of them are really on thier own yet. Aly is going to take lessons in the after school program so then Ryan and I can take the other two. My legs had forgotten what is was like..and certainly differnt with a little person between your legs the whole time. 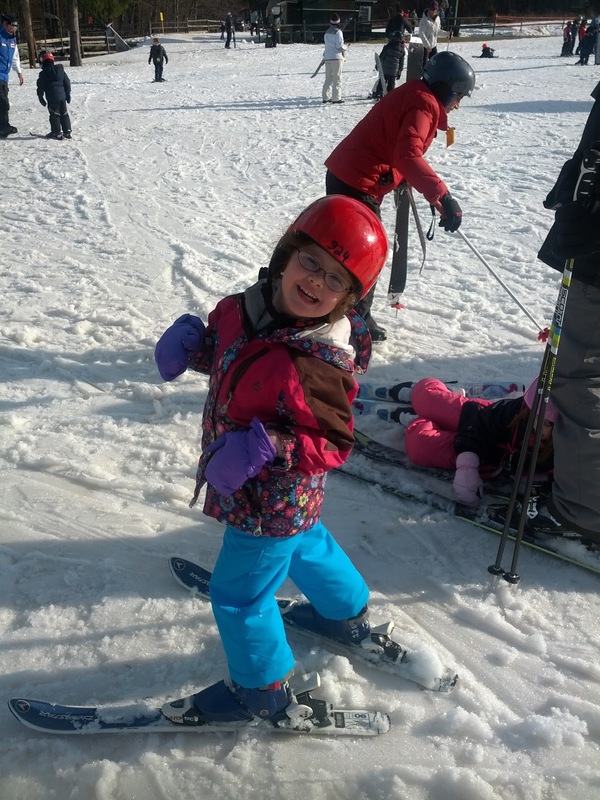 The weather was warm and there was not a ton of snow but this little mountain is perfect for teaching little ones to ski!